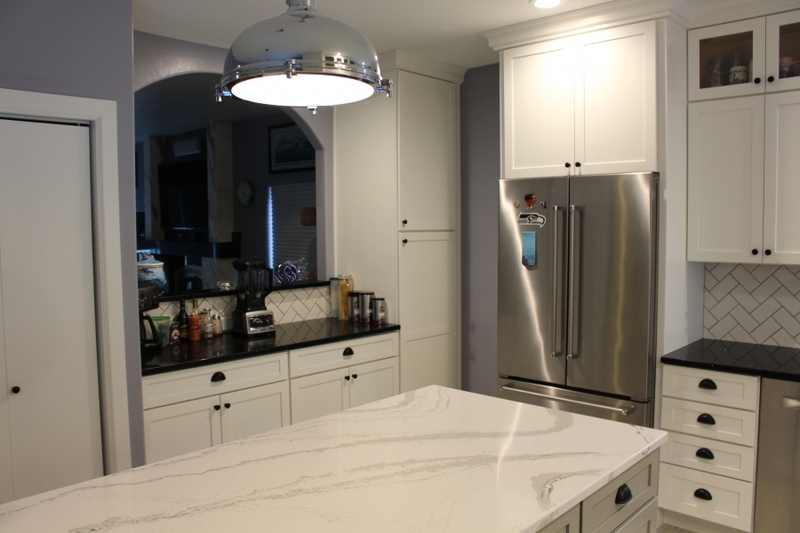 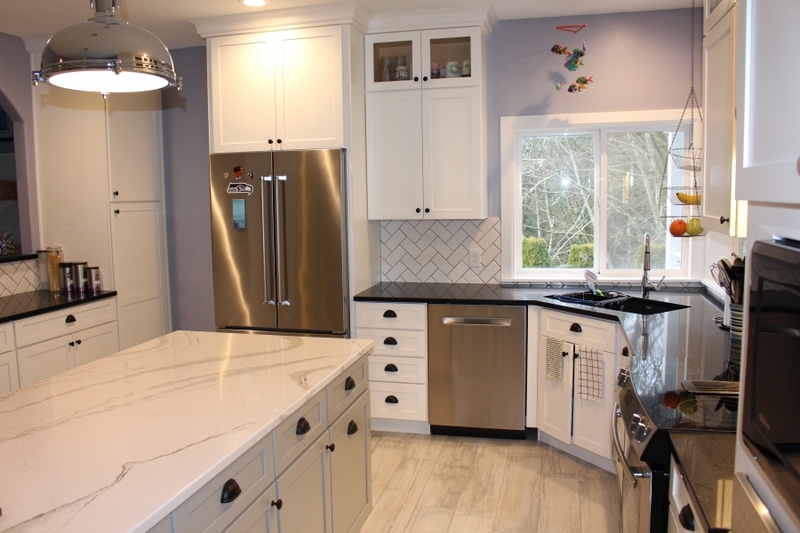 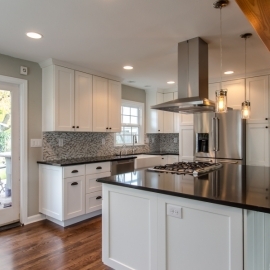 This beautiful Gig Harbor kitchen remodel features Cambria quartz countertops and custom kitchen cabinets. 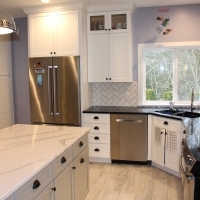 Mark and Tami purchased their Gig Harbor home with the intention of remodeling the kitchen as soon as possible. 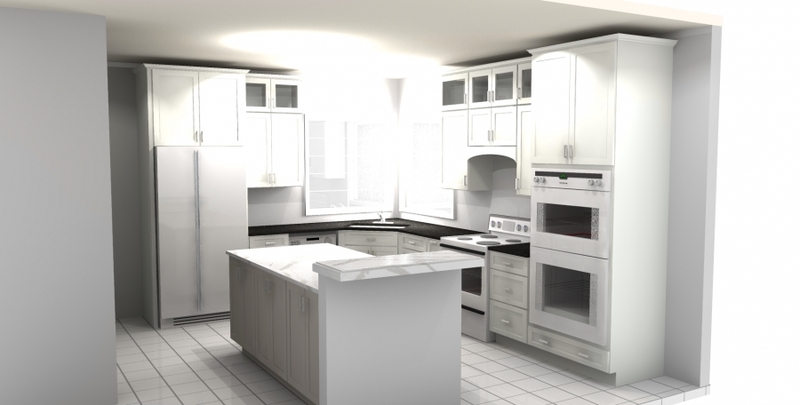 The existing kitchen was not only dated, but the layout simply wasn’t functional. 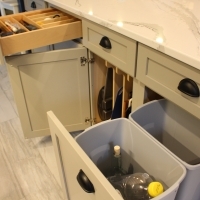 The stove was pigeon-holed into a tiny alcove without any nearby countertop space, there were several dead corner cabinets, and the peninsula cabinets cut off the flow of the kitchen. 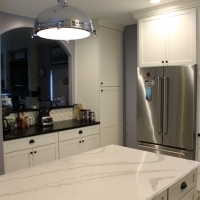 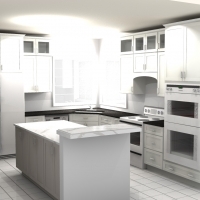 After meeting with them for a free initial design consultation, Shane was able to identify several areas that could be improved to increase the functionality of the kitchen. 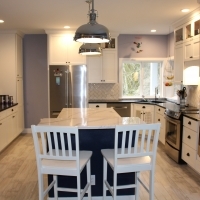 The peninsula was eliminated which allowed room for a large, functional island with a raised bar for seating at the end. 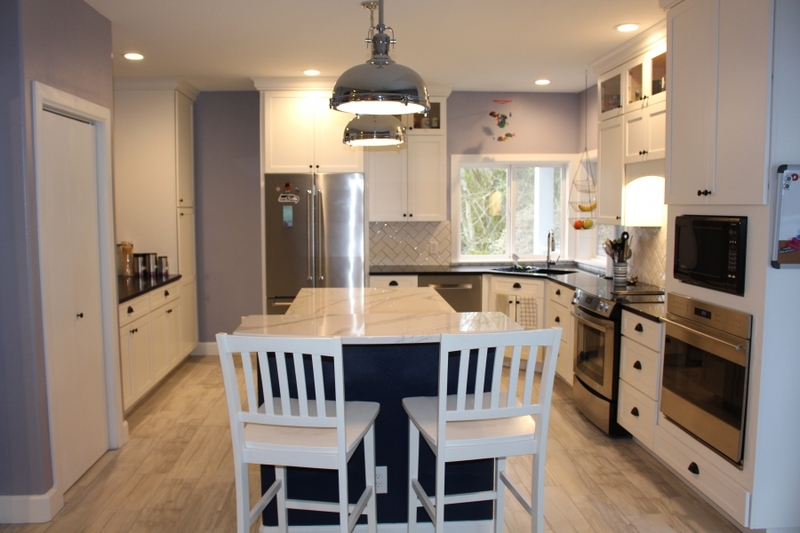 The range was moved to the opposite side of the kitchen where it would be in a more functional location surrounded by more countertop space. 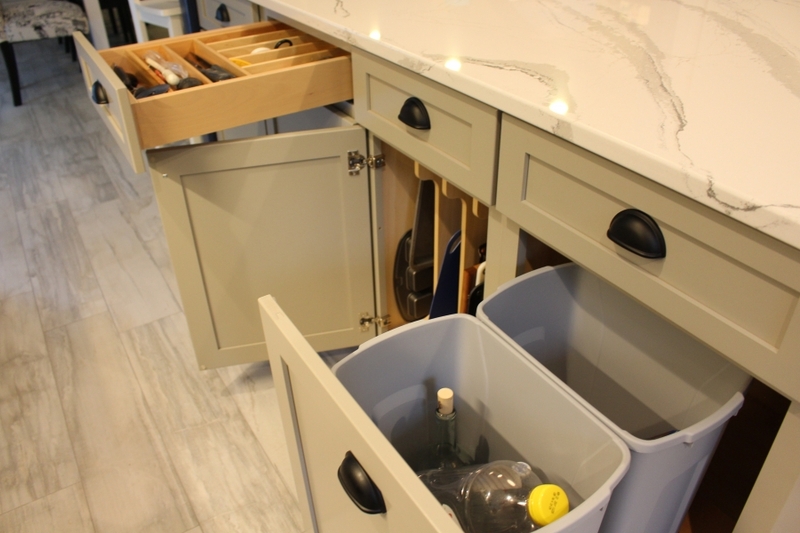 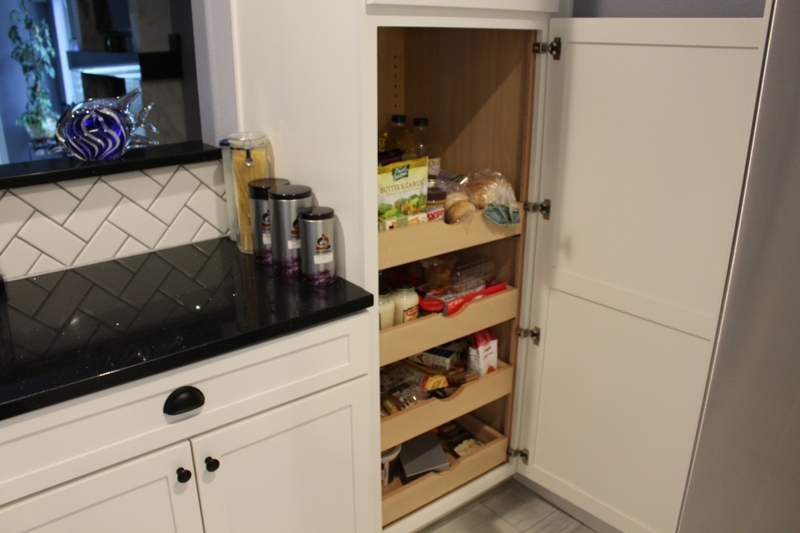 Several key storage components were built into the cabinetry. 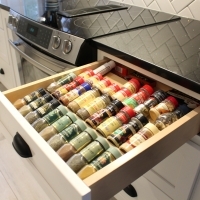 A spice drawer was installed on one side of the stove for easy organization of small spice jars. 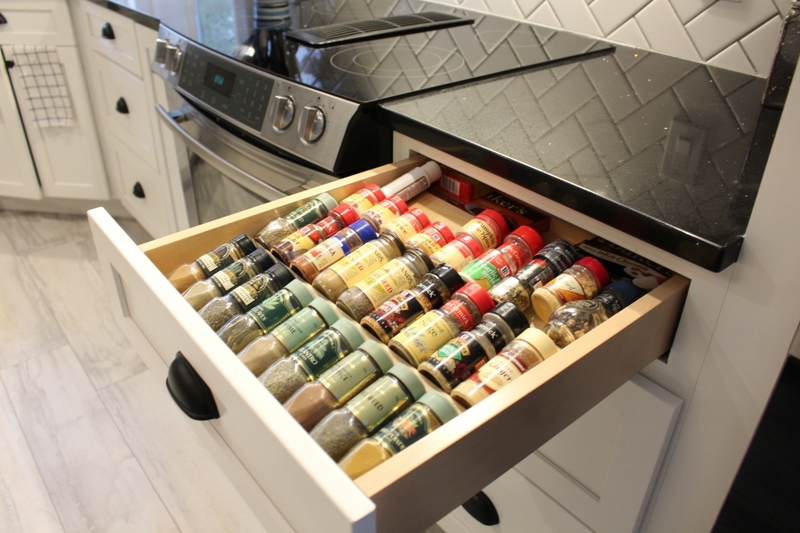 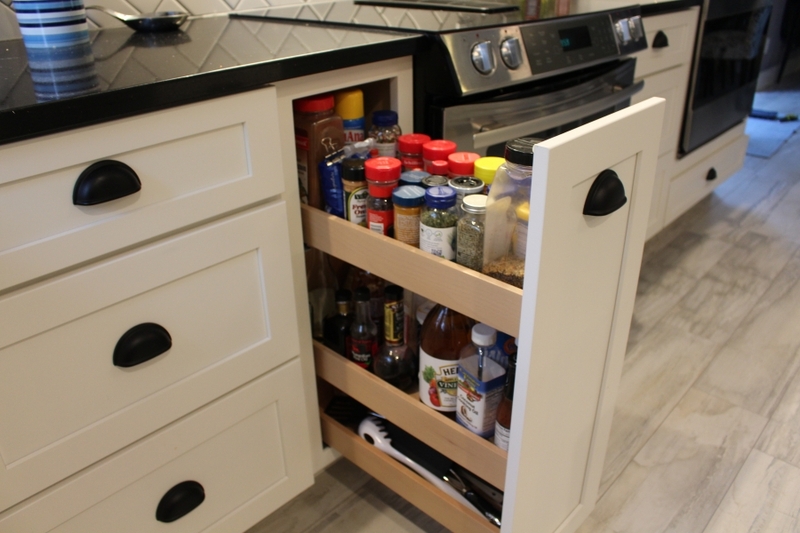 A full heigh pull out spice rack for larger containers was added on the left. 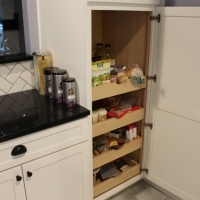 Heavy duty roll out shelves for food storage were included in the tall cabinets. 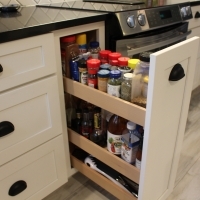 A tray divider cabinet was installed on the kitchen island directly across from the oven for quick and easy access.